A great smile can mean the difference in how you feel about yourself from the inside out. Dental Star New Jersey's highly trained dentists and licensed denturists make dental implants for men and women of all ages. Visit Dental Star New Jersey in Englishtown, New Jersey. Dr. Vladimir Potepalov and his team can replace missing or damaged teeth to help restore your confidence and your natural smile. To learn more, call for a consultation or book your appointment online. Many adults think dental implants are the next best thing to having natural teeth, and they might be right. When you lose your own teeth due to an illness, a traumatic accident, or tooth decay, it can negatively impact your self-esteem. You might also avoid smiling, or eating foods you used to love. Dental implants help you bite, chew, and smile with confidence. They're sturdy, stable teeth that look, feel, and function like natural teeth. A dental implant is a metal post that a dentist implants into your jawbone beneath your gums. Essentially, it’s the root of your new tooth. Once the post has been installed and your mouth has fully healed, a process that generally takes a few weeks, the dentist will mount a custom-made crown (replacement tooth) onto the metal post. The implants fuse to your jawbone, which makes them incredibly steady and secure. These metal posts also work to help dentures, crowns, and bridges stay securely fastened to your jaw. Whether you're missing one tooth or multiple teeth, you might be the perfect candidate for dental implants. Your jaw needs to be finished growing, and your gums must be healthy. Dental implants are not for children but are an excellent solution for adults. You might also be a perfect candidate for implants if you're fed up with uncomfortable dentures, or it's time to replace a bridge or partial dentures. Patients in search of a more permanent, long-lasting solution to dental work tend to be great candidates for dental implants. Get all your questions about dental implants answered during a consultation with your dentist. Implant treatment might be right for you. 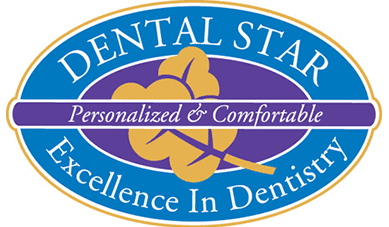 Book an appointment online or call Dental Star New Jersey to take the first step toward a more confident smile.